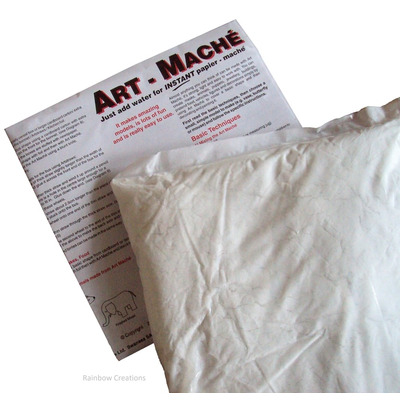 With this instant paper mache there is no need to add glue or paste as it is a premade mix - just add water to make it into a pulp. 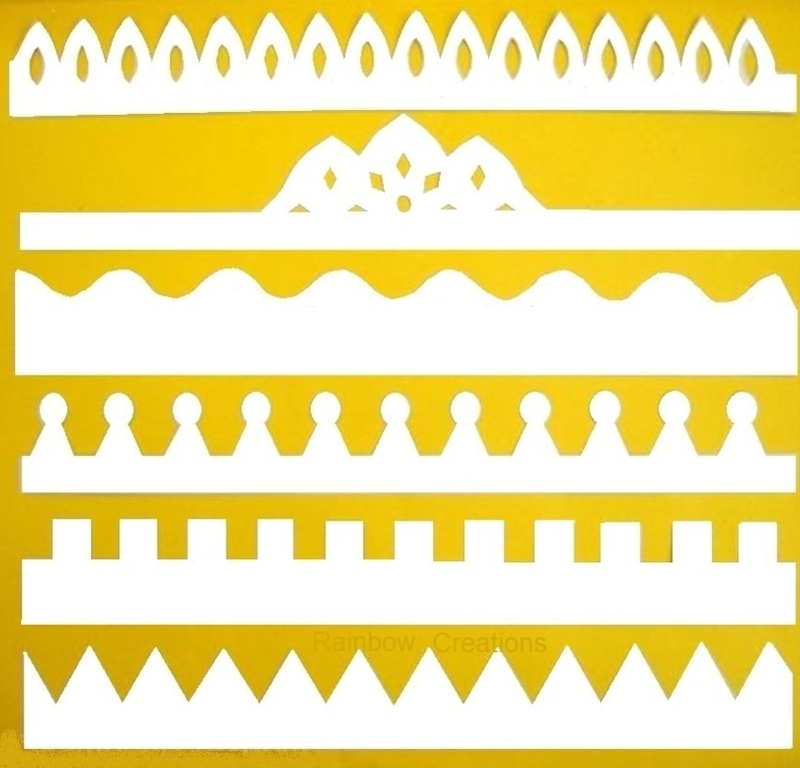 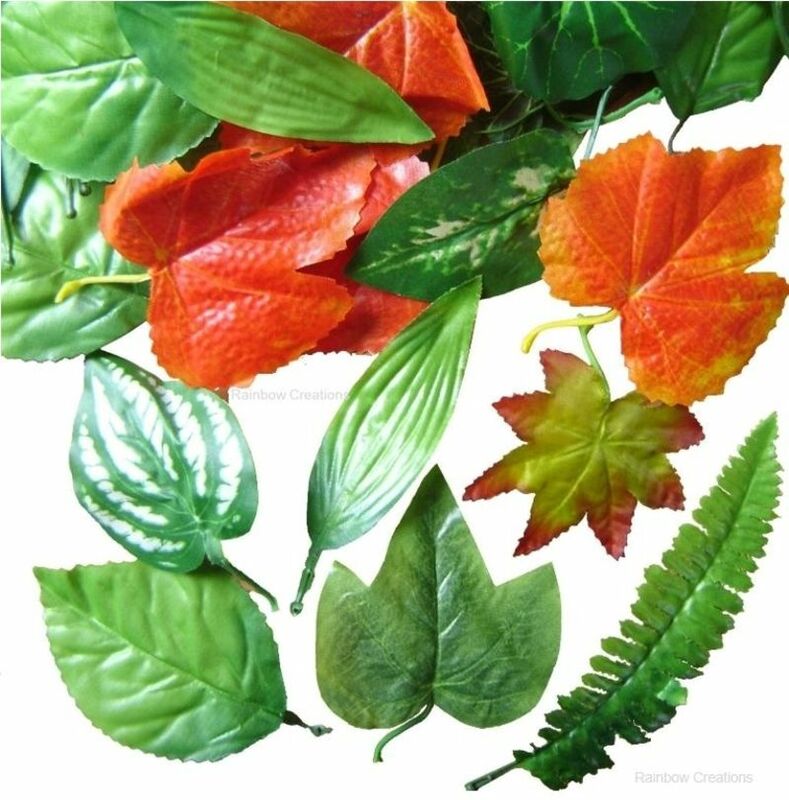 An easy to use modelling material for children to use creatively in art or craft to make models, cover balloons, make animals, scenery, puppets, masks and many more projects. 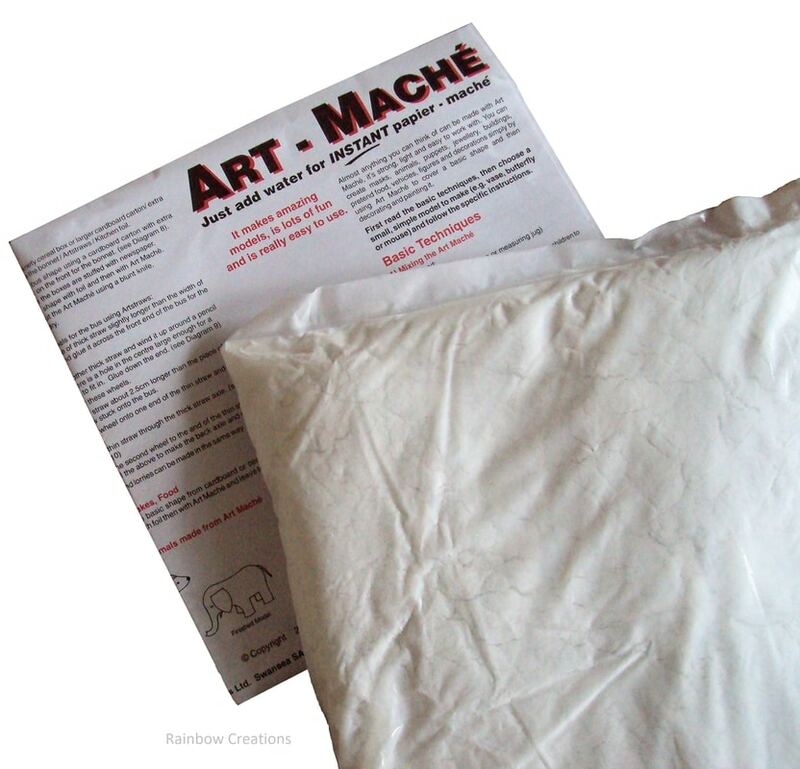 Art mache is supplied in a bag of 1kg.